Beautiful seasonal plant for christmas time available in red. You can select an option to add pine branches and cones. Keep the poinsettia at normal room temperature, but not above 21°C. Nighttime temperatures of 16 to 17°C are best. Too much heat will shorten the blooming period. 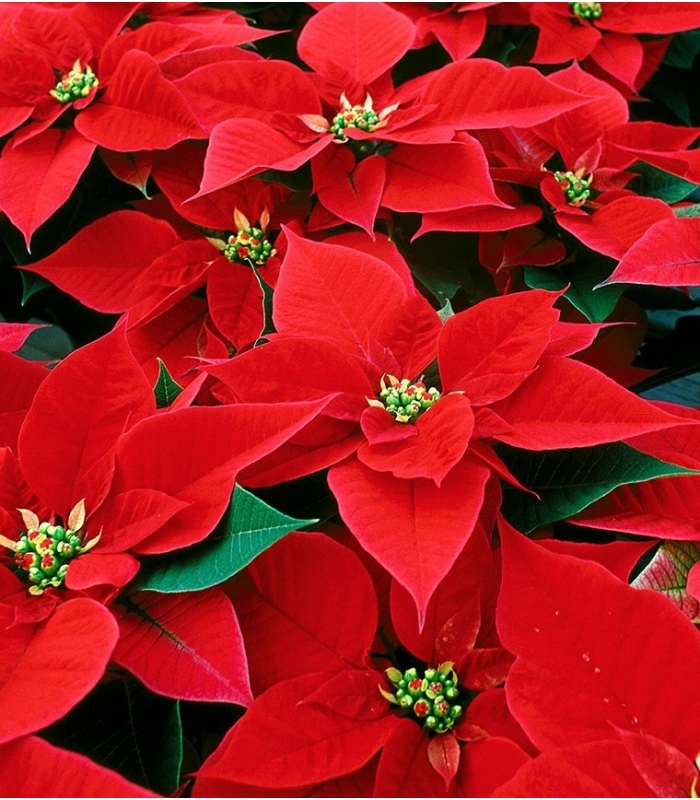 Poinsettias are sensitive to extreme temperatures (below 10°C and over 30°C). Avoid placing your plant too close to any heat source or on top of a television. Keep it away from cold drafts, as well, and protect it between the store and your home. Water in moderation with tepid water when the soil is dry to the touch. Thoroughly soak the soil mixture, but avoid overwatering, as this can cause root rot. Never leave any water standing in the pot or the saucer. Allow the surface of the soil to dry out between waterings.